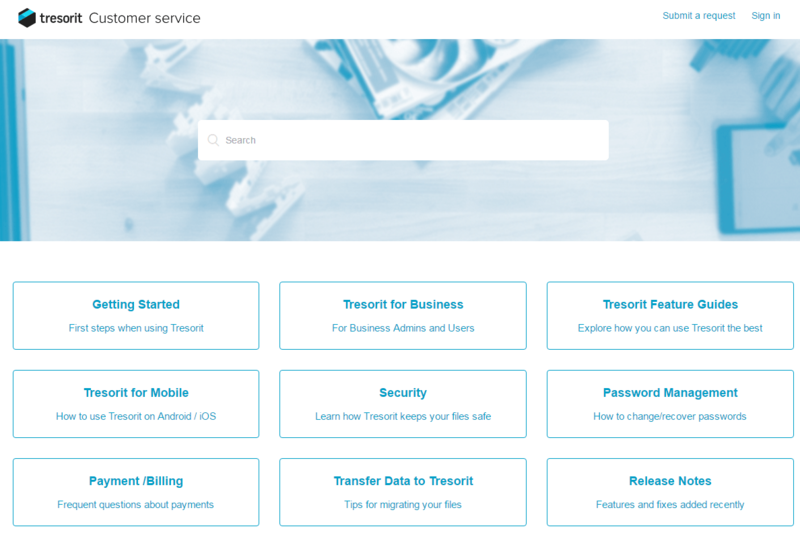 Tresorit is a Swiss company that offers cloud storage to personal and business users. The cloud service easy to use and keeps your files organised with the help of tresors (folders). Down/Upload speeds are amazing, syncing and sharing features are also extensive and well made. While they do offer a file versioning system, there's no "trash bin" which is quite a downside. I believe it's also safe to say that Tresorit offers one of the best security and privacy solutions. Your files and your privacy is protected by the Swiss privacy laws, which are known for its resistance against the foreign surveillance and data warrants. It's also compliant with many standards like HIPAA, etc. Read more about Tresorit down below. Tresorit divides their business plans into three sections. You'll pay more if you're planning on having from 2-9 users and less for anything about 10. I guess we can call that a "family" discount. A welcoming feature, of course. Each user receives 1000 GB of cloud storage. You receive some additional benefits with the business and enterprise plans. The exact list of features can be seen down below. Zero-Knowledge Authentication is a concept that has been developed by the cryptographers. The primary point is that nobody but you can access the files in the cloud. Access is restricted even to the cloud service administrators which eliminates the threat of a malicious insider. Read more here - Zero Knowledge Encryption Explained. Outlook integration - That gives you a lot of shortcuts and makes it easy to share your files safely through your e-mail. Digital Rights Management(DRM) - This feature comes with the business plan. It allows you to create DRM protected tresors. From DRM enabled tresors, Editors and Readers are prevented from saving, printing, copying or taking screenshots of DRM protected files. Further, to prevent accidental disclosure of confidential DRM files, a DRM protected file attached to an email cannot be opened. HIPAA Compliance - HIPAA, the Health Insurance Portability and Accountability Act sets the standard for protecting sensitive patient data. Any company that deals with protected health information needs to follow this standard and ensure the safety of the files. Audit trail - It's a security chronological record that provides all the information about the activity of everything that happens within your cloud. Live editing of Word, Excel,... documents isn't possible directly on the cloud with your colleagues. The Tresorit application is available to you on Windows, Mac and Linux systems. Tresorit mobile application is available to you on Android, iOS, Windows Phone and Blackberry devices. Download and upload speeds are amazing. I've done some heavy testing and came up with great results. Upload speed varied between 7-8 MB/s while download speed varied between 60-70 MB/s. 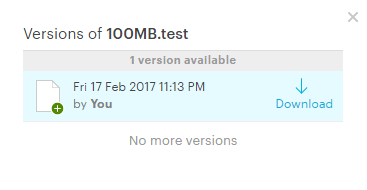 A file sized 100 MB was downloaded in a second or two. Can't praise Tresorit enough on this as it is amazing. Syncing speeds are also great. Everything is done without problems and very fast. There is also no limit on their side regarding the down/upload speeds. There are two ways that you can use to share files. One is via sharing links, and the other is by sharing your tresor(folder) with a colleague. You can also give him different permissions. There's no monthly bandwidth limit which means people can download from your links without restrictions. 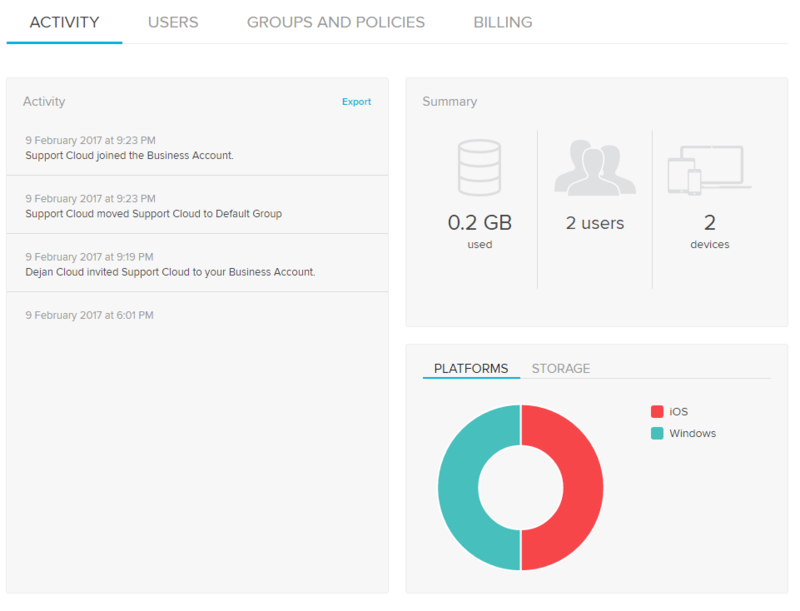 As a business owner, you will have a complete overview of what's happening in your cloud through the activity log. You'll also be able to manage your staff through the users' tab with the ability to assign them a co-admin status. As a business user, you'll be able to upload files with a maximum size of 10GB. File versioning is one of the more important aspects of having a cloud storage implemented in your business. Word documents, PDF files and CAD drawings are always changing with an updated version of itself. By having a good file versioning system, you can always retrieve an older file that you've worked on. Tresorit will hold previous versions your files indefinitely or until you delete them yourself. Tresorit doesn't offer a real file recovery system and has no "Trash bin" from where you can get your deleted files back. We can all agree that having no proper recovery system isn't good. After contacting one of the Tresorit staff, he assured me that this feature is coming in the near future. 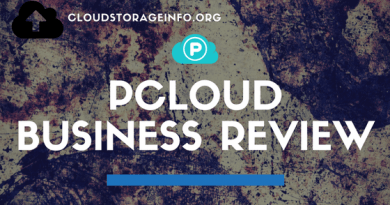 The safety of your files and information is as important as everything else in a cloud storage, especially as a business owner. Tresorit combines end-to-end, AES-256 encryption, zero-knowledge sharing, and Swiss privacy. Tresorit offices are located in Switzerland and Hungary with partner offices in other countries, including UK and USA. Data centres are located in Ireland and Holland. Tresorit is also FINRA and HIPAA compliant and offers HIPAA BAA addendums to enterprise customers. Data centres are also compliant with HIPAA, ISO27001:2013 and a host of other certifications. 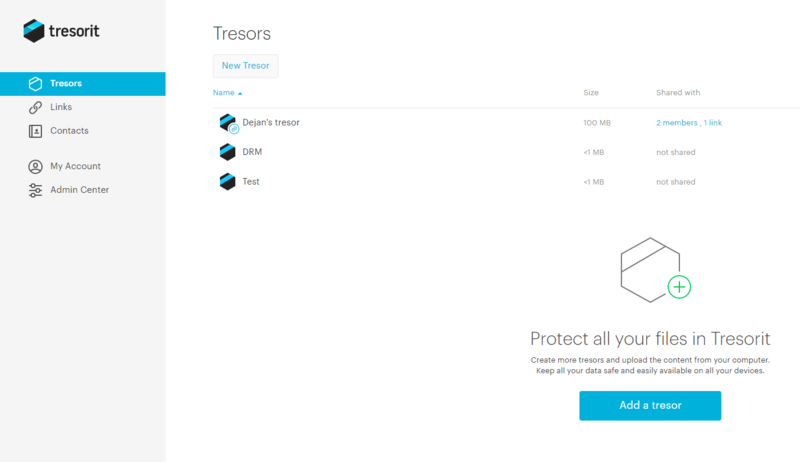 I believe it's safe to say that your files and information are safe with Tresorit. For the full list of security measures check out this link. Tresorit offers an extensive FAQ base, where you can find some of the answers to your questions. If that doesn't help you can contact them directly through an email. Phone support is available to users that have Business or Enterprise plan. Unfortunately, there's no live chat available but who needs that when you can call them directly. All in all, Tresorit doesn't fail to deliver on its promises. They offer excellent security and privacy, combined with very decent syncing and sharing options which allow you to work with your files quickly. Applications for desktop and mobile devices are well made, making it easy for you to access files anywhere. I did miss the trash bin as I believe that's an important feature to have. Apart from that Tresorit allows you to keep your data very well organised which is always important. The admin tools are also well made, giving you the ability to create and modify groups, check the activity of your users and assign co-admins. 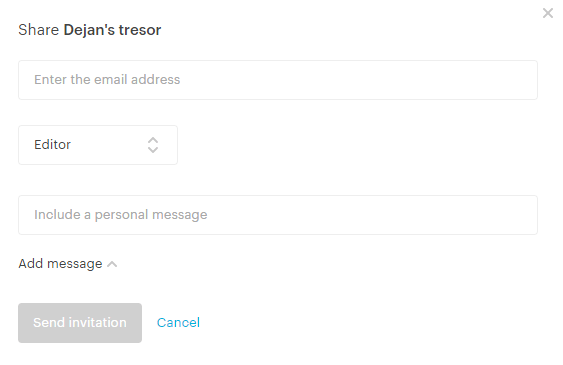 Check the Tresorit review for personal users to find a detailed explanation of all features. YOUR OPINION MATTERS! Review Tresorit yourself as well by posting a comment below. Would you just like to share or ask something? Just skip the review part! I am glad you found the post useful and if you run into problems feel free to contact me! I have always been a bit sceptic about storing my data in the cloud. 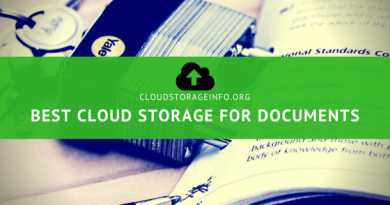 But as the evolution continues, and we need to be able to work from anywhere at any given time, we have to consider a cloud solution for our documents, pictures and so on. Overall the Tresorit solution seems to be quite good. The lack of recovering does concern me. Do you know if this is something Tresorit is aware of, and might be coming with a solution for? 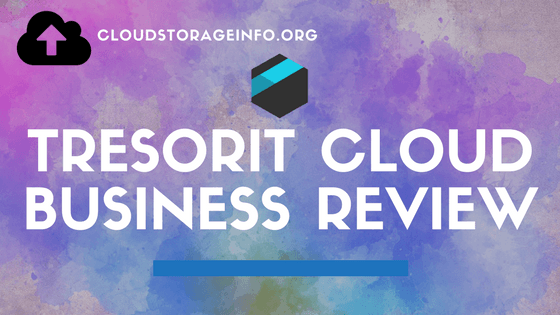 When Tresorit sorts out their retrieving system it will be one of the best cloud storages out there. Definitely something to keep track of!